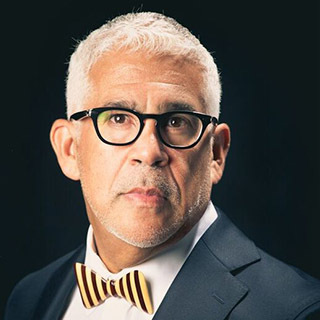 Robert Roman has been connected to the Hampton Roads area since the mid 1980’s. He is Vice President of Decorum Furniture and The Palace Shops in Norfolk. Robert grew up in the Panama Canal Zone. He attended West Palm Beach University in West Palm Beach, Florida and Old Dominion University in Norfolk, Virginia. He has served proudly in the Armed Forces, is a current member of the Ghent Business Association Board of Directors and serves as a liaison for many non-profit and humanitarian organizations in Hampton Roads. Robert, along with his husband Claus, have been advocates of Hampton Roads Pride, the largest LGBT festival in the state for several years and committed to its success.